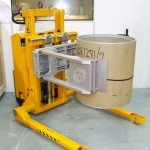 The Grab-O-Matic Reel Turner Attachment – Outside Clamping is a stacker attachment for the lifting of objects such as reels, rolls of film or paper. 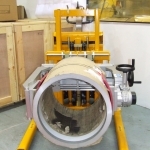 The reels can be gripped on the outside diameter by a rubber faced clamping mechanism. Once gripped the reel can be rotated from the vertical plane to horizontal or vice versa through 360 degrees. The Reel Rotator attachments are built specifically to order to suit various reel weights, lengths and diameters. 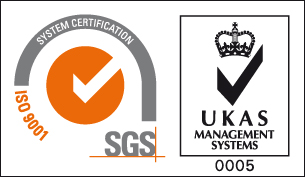 The range will suit reels from lightweight 25kg reels up to 250kg. 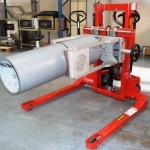 Power rotator models also available for connection to our range of power lift/drive stacker trucks, please ask for more details. The options for rotating the reels are backwards and forwards, or sideways. 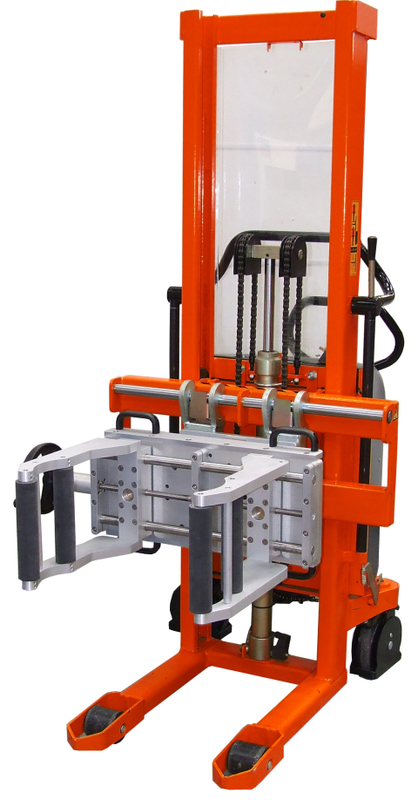 The clamping of the reels is manual and can accomodate various sizes. 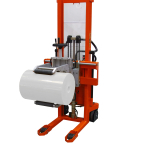 Powered or manual rotation of the reels are available. The rubber faced clamps help protect the manterial on the reel.